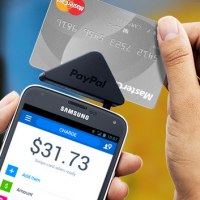 As businesses become more agile, merchant credit card processing with a mobile component becomes a necessity. Retail businesses can carry stock in a warehouse and deploy in a shipping crate on a busy city street, or at a festival, assuming they have a means to process transactions. It’s not always feasible to go cash only. It makes you a target for theft, and it hurts your potential business from customers who no longer carry cash. As mobile wallets catch on, those people are growing in volume. Here are three reasons why businesses are making the switch. As internet connectivity becomes ubiquitous, it becomes easier for businesses to bring their locations to the people. Mobile credit card processing allows for merchants to accept payments anywhere they can get connectivity, including over 3 or 4G networks. Coupled with affordable rates, merchants can even use such a system in-store at a mall or a brick and mortar retail location. It helps retailers better service customers with prompt checkout times and consultation all wrapped up into a single transaction. The only drawback is that the system depends on connectivity. If the Internet goes down, these merchants have a problem. That’s why most systems rely on backups, first looking for Wi-Fi connections and then utilizing mobile connections if Wi-Fi fails. Mobile credit card systems are an excellent choice for small business credit card processing because they often don’t require much additional hardware. Most mobile systems rely on a card reader, which can be clipped onto mobile phones or tablets sales people can carry around. The costs to deploy such a system may not be as high as the costs of a credit card terminal. Plus, the system removes the need for a POS system entirely. Another reason more businesses are choosing mobile payment systems is because they have become more commonplace. Early technology didn’t encourage multiple devices, so it was hard for retailers to be sure their payment platform could service every customer. Now that Apple and Google have jumped on the mobile wallet band wagon, there are more options than ever to send payments over the Internet. People have also become a lot more familiar with the technology, encouraging them to try it out for themselves. As more people learn it’s safe to utilize a mobile device for payments, this payment platform will only see improved adoption rates. Retailers can benefit greatly from being on the cusp of innovation in payment processing. When customers can get immediate fulfillment, retail can compete on solid footing with e-commerce. Charge.com Payment Solutions, Inc. is a payment processing company with mobile and POS solutions for businesses of all sizes.